Melissa Fristrom founded her company, Core Allies, LLC to assist clients for the duration of their career. With conscious and continuous evaluation, Melissa helps clients navigate uncertain and sometimes difficult obstacles across four practice areas: career change, entrepreneurial success, leadership development, and work/life balance. She has a broad clientele of private, not-for-profit and corporate clients including Harvard Business School. Melissa Fristrom helps people identify their unique gifts, assess the marketplace, and position themselves for success. She takes the branding methods she acquired while marketing such household names as Cheerios, Playschool, Tonka, and Polaroid I-Zone and applies them to individuals, helping people recognize the particular strengths that comprise their personal “brand.” The result is well grounded self-assessment and a realistic timeline within a framework of a strategic plan for developmental excellence. Melissa draws on a depth and breadth of knowledge from her extensive leadership experience in a wide range of situations, from Fortune 500 companies (General Mills, Hasbro, IBM, Polaroid) to start-up ventures; from not-for-profit to for-profit endeavors; and from successful companies to cash-strapped firms. She has served in a variety of functions including marketing, strategy consulting, and CEO in a variety of countries including Africa, Jamaica, Haiti and the United States. This frontline experience enables her to advise business leaders of all levels. After her years in the corporate and Not-for-Profit sector, Melissa sought to understand how one might make sustainable change in the lives of others. With this in mind, she embarked on a doctoral degree in Psychoanalysis. Now with extensive clinical experience and a private practice, she has learned to create space for any and all experiences and emotions. 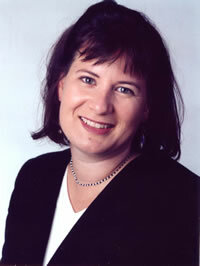 Melissa holds an MBA from Harvard Business School and a BA from the University of Virginia.